Has over 40 years’ experience in the road freight and logistics sector and was one of the original accrediting bodies first recognised by the HSE when the scheme began. Highfield has established a worldwide reputation for both listening and responding to our centres. We understand that all business models are different, and work with our centres to help them grow their business and maximise the effectiveness of their training delivery. We currently work with thousands of centres including governments, colleges, councils, household brand names and both large and small training providers across the globe, and have achieved a staggering year-on-year growth. Our vision is to set the global standard for listening and responding. We put our success down to our core values of quality, value, service and integrity, and invite you to browse the pages listed above to find out more about us. Founded by healthcare trainers, for healthcare trainers the Association of Healthcare Trainers is one of the UK’s largest non-profit membership associations for those training within the healthcare sector. 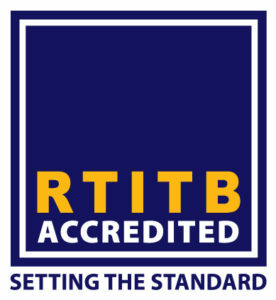 By joining the Association of Healthcare Trainers, trainers, training providers, care providers, charitable trusts and professional bodies will be able to demonstrate to existing and potential customers, staff members, regulating and inspecting bodies that the way they operate and conduct themselves with regard to training within the healthcare sector is in line with a code of ethics. The Association of Healthcare Trainers provides a Code of Ethics & Conditions of Membership to abide by, we do not provide, accredit or approve any training being delivered.